We provide our services to companies of all sizes in various fields and industries. We have our own experience of working in small companies as well as large corporations. We know how to coordinate the recruitment process from A to Z and we can advise you in other HR areas too. We are well established on the market of labour and professional development. Are you searching for a new employment, or do you want to get a piece of advice about your career? Together we will find a path you can take and we will outfit you with tools to succeed in selection process. 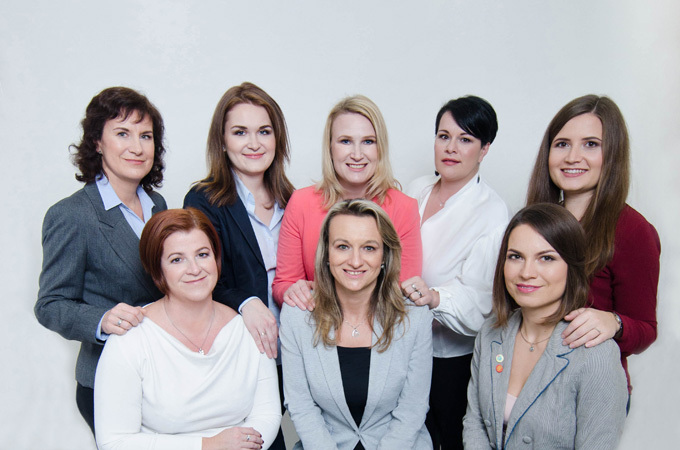 We are the team of experienced professionals in the fields of human resources, communication, psychology, professional and personal development. We are experts who with true interest help companies and individuals to succeed. We have been offering our services since 2014 and due to our long-standing experience in internal human resources departments of both large and small companies we know the best way how to provide the services of recruitment and personnel consulting. Our goal is to work as we would be a part of our client company and to perfectly understand its company culture. Thus we provide services not only the best but primarily the most suitable for both employers and its current or potential employees. According to client needs we can work directly as HR interim managers. What do our applicants say about us? Lucie has gained her experience during years of working for various international companies. Among others she held position of Senior HR Business Partner in Citibank for 8 years. Since 2014 she has been working as a consultant in human resources field. She specializes in coordination and organisation of selection processes, consultancy for managers, design and coordination of assessment and development centres, identification, adaptation and development of talents. She is also a personal development advisor and career expert for individuals. Her speciality is one day training of stress management skills. She is a yoga teacher of 2nd grade too. She organizes and leads lessons for individuals, groups and companies. She enjoys doing yoga with children and her following goal is to start yoga lessons for elderly people. Simona has been working as a consultant in fields of human resources, internal and external communication since 2013. During her long-standing career she gained experience working for important international corporations such as Coca-Cola or Ahold and also for a personnel agency. Her specialization is coordination of selection processes, assessment centres and advisory in the field of internal and external corporate communication. In her free time she likes hiking, visiting theatres or looking for the best coffee in Prague. If you like theatre plays she recommends to visit the theare „Divadlo v Dlouhé“ and its play of complete drama work of William Shakespeare in 120 minutes. Tereza worked for more than 6 years as HR Business Partner for American Citibank and since 2014 she has been providing her services as a personnel consultant across various industries. She specializes in external and internal recruitment, organisation and coordination of assessment and development centres and various forms of development activities. Among others she works as soft skills trainer and individual mentor. She gained much experience also abroad - one year study at British university finished with BA degree, one-term study in Germany and work internship in HR department in Poland. She is a passionate traveller and is interested in psychology, music and dance. She also likes learning languages - she can speak English, French and German. Lucie has been working in human resources since 2001. She worked in a couple of multinational corporations in IT, pharmacy and production industries and gained wide experience with the whole range of processes required in human resources. Currently Lucie organizes and leads job interviews, assessment and development centres including assessors’ training. She also sets up adaptation processes of newcomers, which is still highly underestimated in many companies. She organizes as well as leads training activities related to recruitment, assessment, motivation and labour code. In her free time she engages in activities for a disadvantaged group on labour market - women coming back to work after their maternity leaves. Karolina is a student of communication and human resources at University of economics and management in Prague. 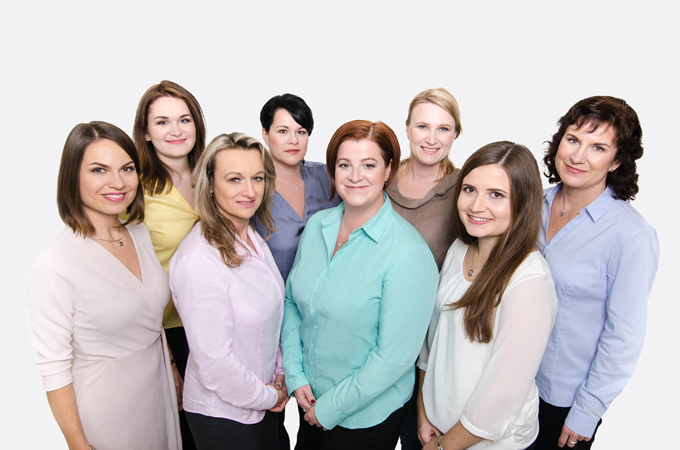 In Peopledrive she is responsible for selection processes and organisational tasks. When not working she devotes her time to “experience pedagogy”, especially that which connects healthy children and children with disabilities. Beside other things she works as a project manager in non-profit organization specialized in education of first aid and health care. In her free time she enjoys reading books, mountain biking and travelling. And although her most favourite books are from authors of Russian realism, her big passion is Italy where she likes travelling for good food, wine and opera. 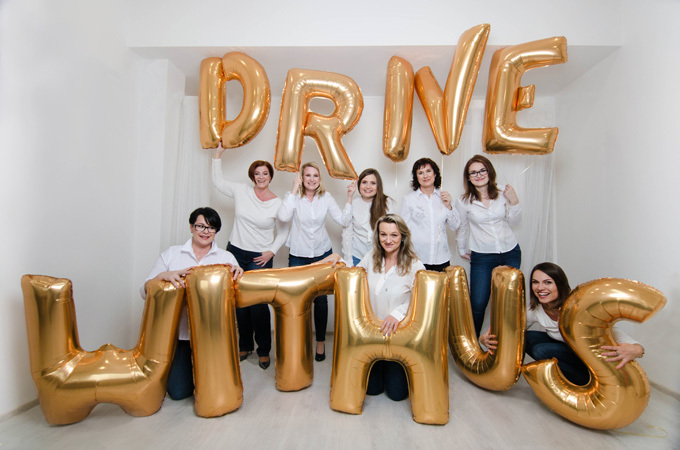 Before Petra became a member of Peopledrive team, she had worked in positions of personnel manager and HR business partner in foreign corporations and in an academic environment. Here she acquired experience with running of recruitment, assessment or motivational interviews and with a creation of adaptation training and development plans. She has bachelor’s degree in international trade and business administration, and master's degree in andragogy, psychology and personnel management. For several years, she has also been teaching English and translating from and into English. In her free time she enjoys pilates, walking her dogs, mountain hiking in summer and downhill skiing in winter. Eliška is a student of andragogy and personnel management at the Charles university. In our team she is responsible for organisation of selection processes and operational tasks. Among others she gained her experience during the internship at the personnel department of NESS Czech in 2014. She is also very engaged in education of elderly people. In her free time she enjoys cooking for her family and friends, she appreciates a cup of good coffee and an interesting book to read with it. Using other sources like direct search, social sites, schools etc. Suitable way how to appraise key employees, strengthen their loyalty, start-up growing period etc. Individual A/C or D/C in case of shortage of applicants/employees, or if the group form is not suitable; other alternatives such as combination of A/C and D/C in one day etc. HR marketing – company career websites, social sites, job fairs etc. Creation of update of your curriculum vitae, motivational letter, LinkedIn profile, application for a concrete position etc. Interview „offline“ - in a friendly but real atmosphere we will prepare you for situations and questions you can experience during job interview, assessment centres etc. Operator: Ing. Lucie Chudobová, Oblouková 425, 273 64, Doksy, IČ 71306668, DIČ 7455310709. Let us know about you and register into our database of applicants. Our members receive from us monthly Peopledrive jobsletter with current offer of job positions, news on the labour market and tips for professional development. Furthermore our consultants can address you directly in case of job offer suitable to your needs. If you are already registered with us, you can edit your data provided anytime HERE. In case of questions please contact us on info@peopledrive.cz. Protection of your personal data is important for us. We care about processing them on professional level and in full compliance with Act No. 101/2000 Coll., on the Protection of Personal Data and Directive 2016/679 of the European Parliament and of the Council (EU) (called GDPR). Look at our Principles of personal data protection. * In case of an interesting offer I am willing to commute or relocate. Please select foreign languages and level of your knowledge. Step by step you can choose up to 3 foreing languages. If you can speak more than 3 foreign languages, please choose those with the most advanced levels. Please do not enter your mother tongue. Do you want to succeed in selection process for your dream job? Do you search for inspiration for your professional or personal development? Or do you stand on the crossroad not knowing where to go further with your career? For those and any other life situations we offer you advisory services of our consultants. Chose those you are interested in and we will shortly contact you. * The fields highlighted in blue are mandatory. Isn’t there what you are searching for? Write to us in your own words what you are interested in. We will certainly find a common solution. I give consent to process my personal data. By sending this form I give concent to the association of Peopledrive – Ing. Lucie Chudobová, Oblouková 425, Doksy, 273 64 – as „Controller“ and its cooperating legal and natural persons as „Processors” to administrate, process, store and after oral or written agreement with me further make acceccible to the clients of Controller my personal data for the purpose of arranging work for myself, all in compliance with Act No. 101/2000 Coll., on the Protection of Personal Data and Directive 2016/679 of the European Parliament and of the Council (EU) (called GDPR). I give my consent from the day of sending my personal data for the whole duration of registration and maximum up to one year from cancellation of my registration with the Controller. I am aware that giving the consent is voluntary and I can easily withdraw it. Via the Principles of personal data protection I am informed about the way of my personal data processing and my rights, concretely there are right to access to my personal data, right to their editing or completion, right to restriction of their processing, partial or complete erasure, right to object towards Controller, right to request Controller for explanation or rectification of inaccurate state and right to withdraw given consent. . I give consent to receive current information about the labour market. I give consent to the association of Peopledrive – Ing. Lucie Chudobová, Oblouková 425, Doksy, 273 64 – to send me via email on monthly basis information about current open positions and other commercial information related to its line of business. Via the Principles of personal data protection I am informed about the way of my personal data processing and my rights including the one that I can anytime withdraw from subscription of this email. After sending the form please wait for the message informing that the form has been successfully sent. Only after that you can close the website. Thank you. Do you want to stay in contact with us without having to register into our database of applicants? We will gladly send you our monthly Peopledrive jobsletter with current offer of job positions, news on the labour market and tips for professional development. The service is for free. You can any time simply withdraw from the registration. By sending this form I give consent to the association of Peopledrive – Ing. Lucie Chudobová, Oblouková 425, Doksy, 273 64 – as „Controller“ and its cooperating legal and natural persons as „Processors” to administrate, process and store my personal data for the purpose of sending email on monthly basis with information about current open positions and other commercial information related to business line of Controller, all in compliance with Act No. 101/2000 Coll., on the Protection of Personal Data and Directive 2016/679 of the European Parliament and of the Council (EU) (called GDPR). I give my consent from the day of sending my personal data for the whole duration of registration and maximum up to two months from cancellation of my registration with the Controller for sending this email. I am aware that giving the consent is voluntary and I can easily withdraw it. Via the Principles of personal data protection I am informed about the way of my personal data processing and my rights, concretely there are right to access to my personal data, right to their editing or completion, right to restriction of their processing, partial or complete erasure, right to object towards Controller, right to request Controller for explanation or rectification of inaccurate state, right to withdraw given consent and right to withdraw from subscription of this email. By sending this form I give concent to the association of Peopledrive – Ing. Lucie Chudobová, Oblouková 425, Doksy, 273 64 – as „Controller” and its cooperating legal and natural persons as „Processors” to administrate, process and store my personal data for the purpose of providing services of Advisory centre selected by me, all in compliance with Act No. 101/2000 Coll., on the Protection of Personal Data and Directive 2016/679 of the European Parliament and of the Council (EU) (called GDPR). I give my consent from the day of sending my personal data for the duration of maximum one year. I am aware that giving the consent is voluntary and I can easily withdraw it. Via the Principles of personal data protection I am informed about the way of my personal data processing and my rights, concretely there are right to access to my personal data, right to their editing or completion, right to restriction of their processing, partial or complete erasure, right to object towards Controller, right to request Controller for explanation or rectification of inaccurate state and right to withdraw given consent. Are you happy with our services? Would your friend be suitable for some of our positions, or might be interested in our other services? Are you not sure but still want to recommend him/her to our database? Let your friend know about us and we will reward you for that. We offer two kinds of reward. PROCESS: Fill in the form Recommend applicant. Then it is the applicant’s turn to apply to a specific position. If he / she succeeds within the selection process to that specific position and successfully finishes probation period, we will contact you and reward you with 2.000 CZK. If the applicant is not successful within that selection process, you will be entitled for our second kind of reward. PROCESS: Fill in the form Recommend applicant. Then it is the applicant’s turn to register with us. Once we get information about both steps (your recommendation and applicant’s registration), we will contact you with the choice of consultation. You can use the voucher for yourself or as a gift for anyone. It enables the owner for an hour consultation according to one's own choice from our offer of advisory centre. Support an applicant and write shortly why you recommend him/her. By sending this form I declare that I have permission to provide personal data of the person that I recommend registering for open posion or into database of the association of Peopledrive – Ing. Lucie Chudobová, Oblouková 425, Doksy, 273 64 – as „Controller“ and I am aware that those personal data will be by Controller and its cooperating legal and natural persons as „Processors” administrated, processed and stored for the purpose of addressing this person for registration into selection process for open position or into the database of Controller, all in compliance with Act No. 101/2000 Coll., on the Protection of Personal Data and Directive 2016/679 of the European Parliament and of the Council (EU) (called GDPR). By sending this form I give concent to the association of Peopledrive – Ing. Lucie Chudobová, Oblouková 425, Doksy, 273 64 – as „Controller” and its cooperating legal and natural persons as „Processors” to administrate, process and store my personal data for the purpose of recommendation reward provision, all in compliance with Act No. 101/2000 Coll., on the Protection of Personal Data and Directive 2016/679 of the European Parliament and of the Council (EU) (called GDPR). I give my consent from the day of sending my personal data for the duration of maximum one year. I am aware that giving the consent is voluntary and I can easily withdraw it. Via the Principles of personal data protection I am informed about the way of my personal data processing and my rights, concretely there are right to access to my personal data, right to their editing or completion, right to restriction of their processing, partial or complete erasure, right to object towards Controller, right to request Controller for explanation or rectification of inaccurate state and right to withdraw given consent. I am informed that once the duration of my consent is expired, or if I withdraw my consent before recommendation reward provision, the reward cannot be provided, and thus I have no more right to it. Protection of your personal data is important for us. We care about processing them on professional level and in full compliance with valid Czech and European legislation. Our procedures follow Act No. 101/2000 Coll., on the Protection of Personal Data and Directive 2016/679 of the European Parliament and of the Council (EU) (called GDPR). In order to be maximally transparent we made and continuously update those Principles of personal data protection. Controller of personal data provided by you in the sense of the law is operator of Peopledrive - Ing. Lucie Chudobová, ID 71306668, address Oblouková 425, 273 64 Doksy (further as "Controller"). Processors of your personal data, meaning those who have access to them and further process and store them are cooperating legal and natural persons of Controller, especially the team of Peopledrive and providers of IT services (further as "Processors"). Compliance with legal and security procedures is arranged by contractual documentation and internal regulations between Controller and Processors. We store your personal data for the whole duration of your registration and no more than one year after your consent withdrawal, meaning cancellation of registration. In case that you withdraw, we take it as consent withdrawn by you and if there is no legal or lawful obligation that would obstruct doing so, we erase your personal data form the database at the latest one year after your cancellation and we do not store and process them anymore. Personal data that you provide us via our web site are stored on secured server with maximum protection against abuse or theft. For login into web interface with your personal data security authentication of a registering person is set. What are your rights as personal data subject? Where can you update your personal data provided? 2.	and after that to verify yourself via confirmation email, which we will send you into your mailbox. In this way you can also withdraw or give your consent for receiving information about open positions and further commercial information (Peopledrive jobsletter) in case that you registered into our database or selection process. How can you withdraw your consent for personal data processing? 2. and after that to verify yourself via confirmation email, which we will send you into your mailbox. For other questions please contact us on info@peopledrive.cz. If you in the past filled one or more of our web forms – Registration into database, Registration into selection process, Peopledrive jobsletter, Advisory centre or Recommend applicant – and now you need to edit provided data, write down into the box below your email address, which you entered during filling of the web form, and click on "send". We are sorry that you do not want to be registered with us anymore, however we fully respect your choice. We only want to inform you that based on your consent withdrawal we will erase your personal data from processing and you will be no more able – without repeated registration – to receive information about open positions or other services from us based on what purposes you gave your consent for.